The first of 22 six-car Alstom Metropolis trains have arrived in Sydney for stage 1 of the city’s new metro system. 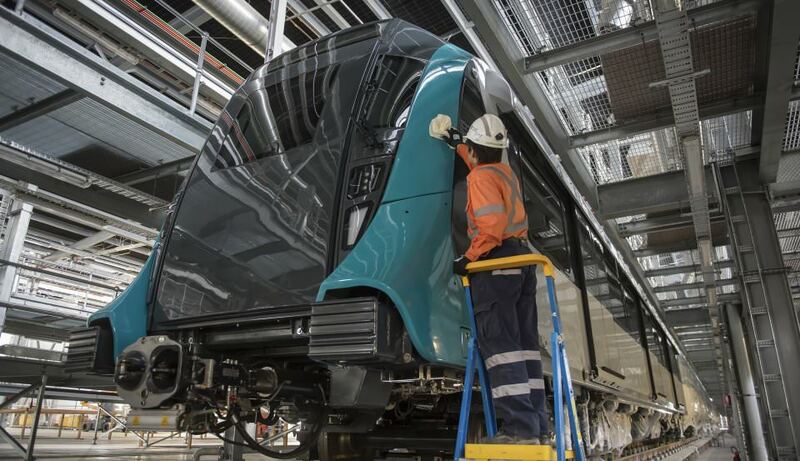 After arriving at the Sydney Metro trains facility at Rouse Hill, the first train will now be prepared for testing over the coming months. New South Wales premier Gladys Berejiklian said: “This is huge – our first metro train is here and undergoing final fitout. The rolling stock features three double doors per side per carriage for faster loading and unloading, wheelchair spaces as well as pram, luggage and bicycle storage. Each train will also have 38 security cameras, six live route maps per car, air conditioning, no internal doors and large windows. It will be 36km long and include eight new metro stations and five upgraded existing stations, with trains running every four minutes during peak hours. Services are expected to begin from 2019. How slow railways react to innovation! as far as I know driverless metro went into service in 1993 in Toulouse and has since been extended and serving millions. So why almost 25 years later are they/we not ashamed to commission trains with drivers?